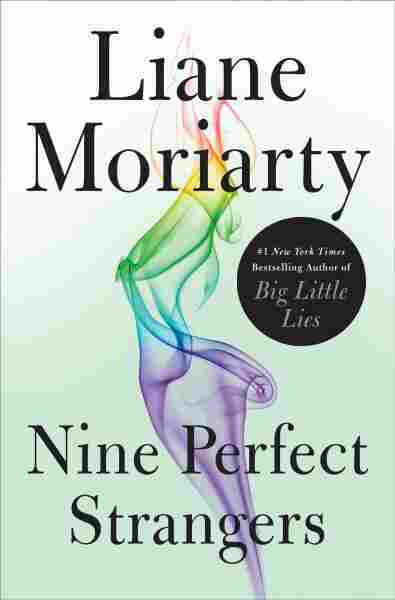 'Big Little Lies' Author Places 'Perfect Strangers' In A High-End Health Resort In Liane Moriarty's new novel, nine strangers gather at a 10-day wellness retreat looking for transformation — and end up getting a lot more than they bargained for. Her protagonist, Frances Welty, is an Australian romantic novelist with a declining career and a passion for wine and good food. At 51, she's twice married, twice divorced, and is recovering from an Internet love scam. "She was a lot of fun to write," Moriarty says. But — in case you were wondering — she's not autobiographical. After Moriarty's husband read the novel he pointed out Frances was almost exactly the same age as his wife: "Everybody's going to think you're just writing about yourself," he observed. "I know," Moriarty replied. "That's why I made her completely charming in every way possible." Moriarty writes about the problems and hypocrisy of the upper middle class – but with affection. "I was just fascinated by the desire for wellness. ..." she says. "I believe in it, but at the same time, find the whole thing ridiculous." That's just such a part of modern life — this desire for instant transformation. ... When I was doing research for this book I took myself off for five days to a health resort (a very nice health resort — I did not suffer all that much for my art!) But on the way there, I can remember thinking: "I'll probably be quite different when I come back." Even while at the same time knowing that was ridiculous. But the hope that just by removing something from your diet, by changing your routine ... [you can] transform your life by doing this one thing. ... That's what I wanted to explore. I believe in mindfulness and I believe in hot stone massages. ... But at the same time, obviously, people are spending huge amounts of money on ridiculous drinks and products that clearly have no benefit whatsoever. In my book The Husband's Secret I have a character who's driving along and she's hearing about some terrible atrocity on the radio ... but at the same time she's losing her mind over her little girl's pirate party that she's trying to organize. So that's the reality of the lives we lead. ... Just because we're living in comfortable lives doesn't mean we're immune from tragedy. Behind every very ordinary looking person there's real pain. Why are my books called 'women's fiction' when in fact women make up the majority of fiction readers? Why are we the 'other'? Why are we the subcategory? On the term "women's fiction"
Why are my books called "women's fiction" when in fact women make up the majority of fiction readers? Why are we the "other"? Why are we the subcategory? There should be a category called "men's fiction." ... Some authors wouldn't like their books to be described as women's fiction. ... Is that because we think women's fiction means it's somehow inferior to men's fiction or to other fiction? I called him up and said, "I've got the cover for my new book." And he said, "Oh, I know exactly what it will look like." And I said, "Well, how do you know?" And he said, "Well, because it's a girl's book." And sadly, he described exactly the cover for the book. I should embrace the idea that, yes it is "women's fiction" because if there was a category called "men's fiction," men wouldn't have a problem with it. ... So who cares? Monika Evstatieva and Barrie Hardymon produced and edited this interview for broadcast. Beth Novey adapted it for the Web.